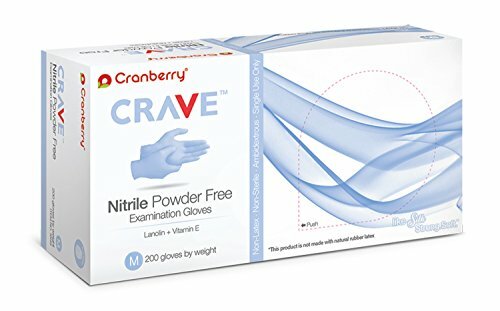 Cranberry Crave nitrile powder free exam gloves are coated with skin revitalizing lanolin and boosted concentration of vitamin E to relieve dry rough skin. Its form-fitting Smart Feel Formulation provides a perfect balance of tactile sensitivity, softness and grip. The cool ice blue color gloves are packed 200 pieces per dispenser box.